Both statements are a reflection of the confusion left by the November 2007 National Intelligence Estimate (NIE) on Iran over Tehran’s intentions regarding nuclear weapons. That estimate was immediately attacked by the Republicans and disowned by the George W. Bush administration because it revealed that Iran had halted work on nuclear weapons in 2003. The real problem with the NIE, however, was that it failed to clarify whether the Islamic Republic is determined to have nuclear weapons or only to have the capability to build them as a “hedge” against possible future developments. The difference between those two possible Iranian strategies can hardly be overestimated. If Iran is actually pursuing nuclear weapons, the United States would have to choose between coercive diplomacy on Iran or accepting its status as a nuclear weapons state and seeking to deter it. If Iran has a “hedging strategy,” however, the United States could take diplomatic steps that would maximize the incentives for Iran to remain a non-nuclear weapons state indefinitely and not risk an international confrontation. The “scope note” for the 2007 NIE indicated that it was supposed to answer the question, “What are Iran’s intentions toward developing nuclear weapons?” But the contents of the estimate itself do not address the issue, according to an intelligence source who has read the entire 140-page estimate. The source could not be identified because he is not authorized to speak about the NIE. The estimate was drafted primarily by specialists on nuclear weapons in the CIA who have little interest and no expertise in Iranian intentions, according to the source. CIA and State Department analysts on Iran, who do have such expertise, were brought into the discussion only after it was drafted. Despite the absence of any substantive analysis in the body of the estimate, the “key judgments” of the estimate published in early December 2007 did address the question of Iran’s intentions. But those statements revealed two sharply opposed views that could not be reconciled. 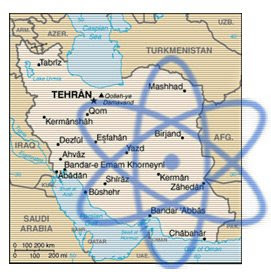 The analysts struck a series of other compromise formulas, beginning with a summary statement in the lead paragraph of the key judgments that assesses “with moderate-to-high confidence that Tehran at a minimum is keeping open the option to develop nuclear weapons.” That formula managed to include both views of Iran’s intentions in the same sentence. The statement, “[W]e do not know whether [Iran] currently intends to develop nuclear weapons” represents yet another compromise in the NIE. The 2007 estimate was not the first that was supposed to address the issue of Iran’s strategy, only to produce a muddled compromise conclusion. The same thing happened on a 2001 estimate on the nuclear program and a 2005 “Note to Holders” which updated the 2001 estimate. In both cases, Robert Walpole, the NIO for Strategic and Nuclear Programs, was responsible for drafting, with the assistance of weapons analysts from the CIA’s Weapons Intelligence Non-Proliferation and Arms Control Center (WINPAC). That lead role gave the weapons analysts a crucial political advantage in the process, according to Paul Pillar, the national intelligence officer on Near East and South Asia during that period. “Who has the lead can make a difference in what gets in the estimate,” Pillar said in an interview. That skewed the estimates by minimizing the attention given to Iranian intentions, because the weapons specialists had no expertise in analyzing the issue. Equally important, weapons analysts saw their main clientele within the government as being the military services and the Pentagon, according to Ellen Laipson, who was involved in the NIE process as a former national intelligence officer for Near East and South Asia and as acting assistant director of Central Intelligence for Analysis and Production in 2001-2002. Pillar and other analysts were also aware of pragmatic arguments made within the Iranian regime against making a bomb. Most of the Iran analysts, according to Pillar, believed that Iran’s decision on manufacturing nuclear weapons would be influenced by U.S. policy — and especially by whether the United States was willing to give Iran a firm security guarantee. The “key judgments” in the May 2005 “Memo to holders” on Iran’s nuclear program, declassified as part of the “key judgments” for the 2007 estimate, shows how such fudging language was used to reconcile the deep differences over Iranian intentions. It said the analysts “assess with high confidence that Iran currently is determined to develop nuclear weapons despite its international obligations and international pressure, but we do not assess that Iran is immovable.” That formula clearly leaned further toward the weapons analysts than toward the Iran analysts. Pillar admits that he and Walpole “did kind of a crappy job of bridging the two views” in the 2005 estimate. It’s not clear whether Obama has even been briefed on the distinction between a strategy of manufacturing weapons strategy and a hedging strategy. But given the systematic skewing of intelligence on the issue in the past, he will need to reach beyond Dennis Blair and CIA director Leon Panetta to understand that vital issue.